Established in 1929, the Estadio Gigante de Arroyito in Rosario holds over 40,000 fans. The stadium was renovated in 1957, 1963, 1968 and also had a facelift prior to the 1978 FIFA World Cup, when it hosted the Argentinian national team during the second round. 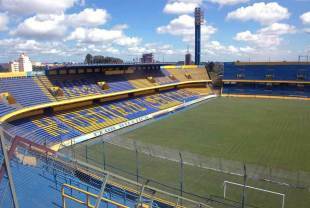 It is the home of the Rosario Central football club and will host the Pumas' Rugby Championship game against Australia in October 2012.